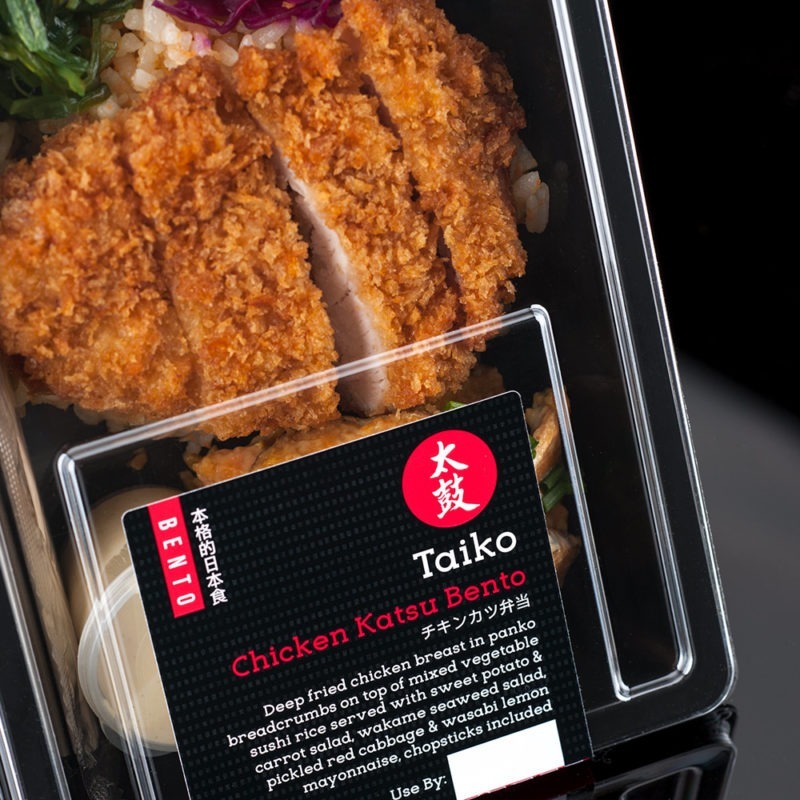 May 2017 saw the launch of Taiko’s latest offerings, introduced exclusively into Waitrose supermarkets nationwide. 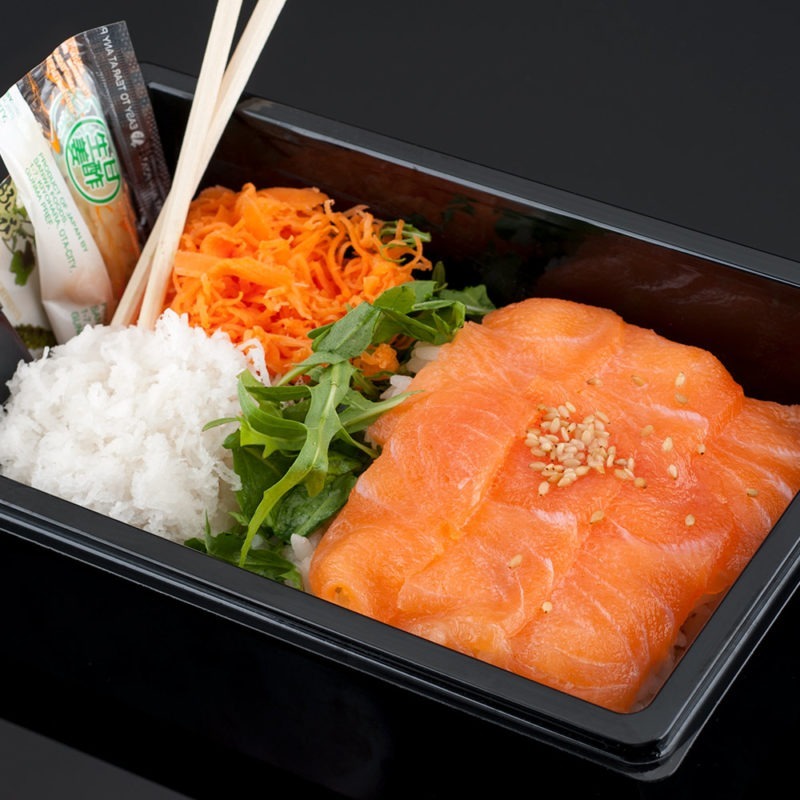 6 Salmon sashimi slices on top of sushi rice served with pickled carrot, mooli & rocket, soy sauce, pickled ginger & wasabi. Deep fried chicken breast in panko breadcrumbs on top of mixed vegetable sushi rice served with sweet potato & carrot salad, wakame seaweed salad, pickled red cabbage & wasabi lemon mayonnaise. 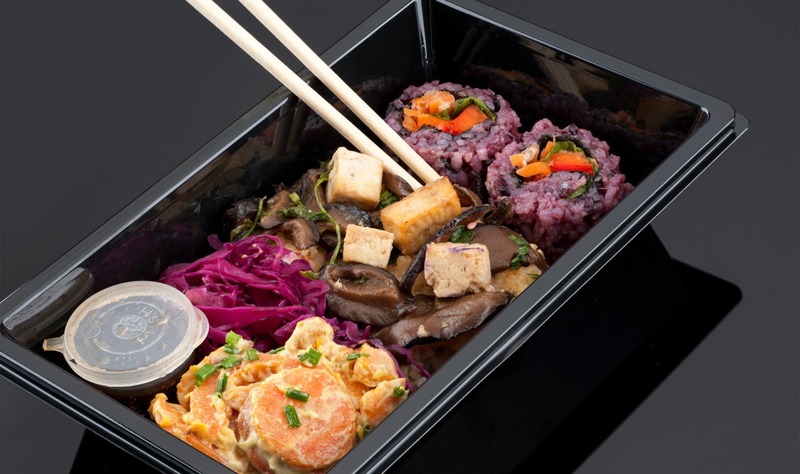 2 White & black rice vegetable rolls, baked marinated tofu on top of shiitake mushroom & coriander salad & mixed vegetable sushi rice served with sweet potato & carrot salad, pickled red cabbage & spicy sesame dressing. 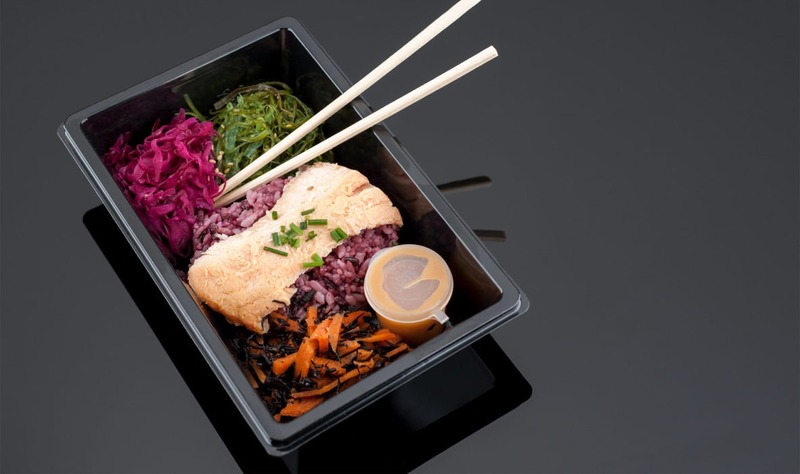 Baked miso-marinated salmon on top of white & black sushi rice served with carrot & hijiki seaweed salad, pickled red cabbage, wakame seaweed salad & miso dressing.